This is just a brief post to describe some of the National Parks in Victoria, Australia that may be of interest to bird watchers. I will be outlining general locality, some walking tracks and if possible, places to camp or stay. Let us get into it then. The Alpine National Park is at the southern end of the Great Dividing Range. You can stay at Bright, Falls Creek, Mount Beauty, Mount Hotham, or Omeo. There are also many camp sites scattered throughout the park. There are high plateaus, deep valleys and Victoria’s highest mountains. The Australian Alps Walking Track goes 650kms from Walhalla to Tharwa near Canberra, ACT. Baw Baw National Park is 170km east of Melbourne. From Melbourne you can get there via Moe, Erica, Walhalla. Some of the tracks in Baw Baw National Park are Beech Gully Nature Walk, Mount Saint Gwinear Track and Mushroom Rocks Trail. Some of the activities you can indulge in include: canoeing, fishing, horse-riding and skiing. Oh, I forgot bird watching as wel. d’oh! Camp at Aberfeldy River camping area. The Croajingalong National Park sweeps along the south east corner of Victoria for a hundred miles. You can stay at Cann River or Mallacoota. There are walking tracks at Elusive Lake, Wingan River Rapids Walk, Wingan Inlet Nature Trail. Camp at Peachtree Creek Reserve, Thurra River, Mueller Inlet, Wingan Inlet or Shipwreck Creek. The Dandenong Ranges National Park is only 35km east of Melbourne. Some walking tracks are: Tourist Track Walk, Sherbrooke Trail, Western Trail and Olinda Forest Trail. Check out the RJ Hamer Arboretum and the SkyHigh Mount Dandenong Observatory. The Grampians National Park are 260kms North West of Melbourne, near Stawell and Ararat. The Grampians are composed of four mountain ranges – the Victoria, Sierra, Mt William and Mt Difficult Ranges. The walks include the Grand Canyon Loop, Reed Lookout to the Balconies, Mt William, McKenzie Falls and Burrong Falls. There are some well-known rock-climbing spots around Mount Arapiles. There is camping at Boreang, Borough Huts, Bundik, Rosea, Smith Mill and Stahans. Chiltern is just south of the NSW border past Albury. Camping sites are available in the Reedy Creek area. Some of the tracks include the White Box Walking Track and the Woolshed Falls Historic Walk. This morning I got up really early, before 6am! I still did not know where I was going to when I jumped in the car, but I drove down the hill and turned towards Minmi. When I got there, a few Eastern Rosellas flew past. I would see a fair few of them of them during the morning. I seemed to disturb a couple of them everywhere I went. There were a pair of Noisy Friarbirds scrabbling around in the Tobacco bush. It was so dark this morning. I had the ISO on 1600, my aperture was at maximum f/5.6 and I had to shoot at a shutter speed of 1/400 to get a decent exposure. Talk about pushing all the limits! 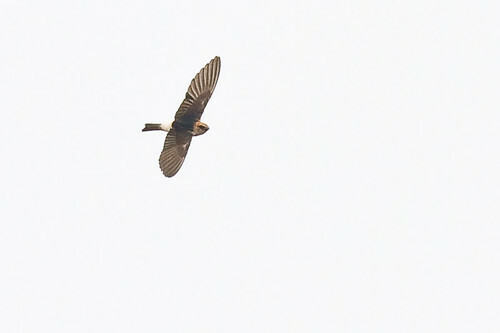 A pair of Black-faced Cuckoo-shrike flew past and I took a few photos of them. This photo is a bit soft but I just liked it for some reason. What do you think? I even bumped up the Noise Reduction to make it even less sharp. I guess it is good to do something different. I am always trying to get photos to look sharper. Why do photos always need to be so sharp? I have no idea, I am just following the rest of the sheep. baaa baaa. I spotted some Yellow Thornbills and Grey Fantails flittering around the trees near the creek and then snapped a few shots of this Silvereye. They always seem to take a good photo. Maybe it is the white ring around the eye gives them good contrast. Right after that, I spotted some moving leaves on a tree, but I could not see what was in there. 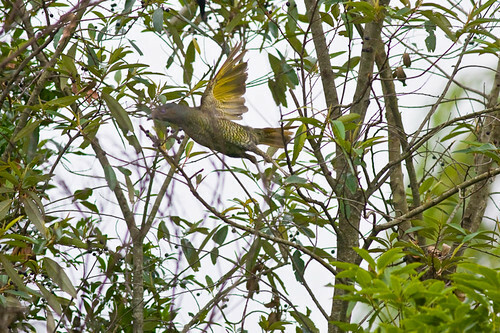 A little bit later a pair of female Satin Bowerbirds came out into the open on another tree and this one was photographed taking a dive. After that, I took a walk along the track that went up the hill to the east. I saw a Bar-shouldered Dove, Eastern Whipbird, Eastern Yellow Robin, Superb Fairy-wren and Red-browed Finches. 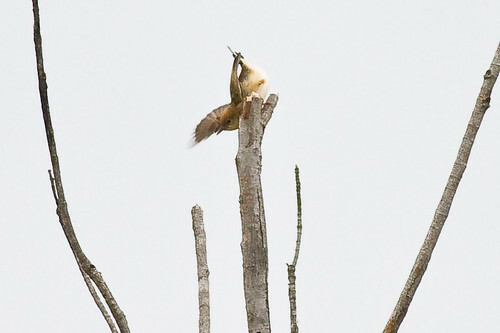 A pair of Channel-billed Cuckoos flew past making their hideous screeching. Two days in a row that I could get outside and take some photos! Awesome. This morning I actually got up early, had breakfast and went to Sandy Creek Walk at Cooranbong. It is just past the Sanitarium factory and starts at the Swinging Bridge, which goes over Dora Creek. I had a look at the trees in the paddock at the start. There were quite a few magpies and swallows and Noisy Miners. There was a lot of squwarking going on, so I had a closer look. There were a few Dollarbirds flying around, so I assumed that they had a nest somewhere in the trees. Then all of a sudden a baby Dollarbird fell out of the tree and on to the grass on the other side of the fence. The adult Dollarbirds started freaking out and dive bombing me. I did not know what to do. I had a look around to see if there were any Currawongs or other birds that might eat it. There were a couple of magpies that came along to have a look. I am not sure if they eat baby birds. I have no idea. They might do opportunistically, but I think they mainly eat grubs. Well, the adults had a go at the magpies if they got too close. I did not know what to do so I backed off and let nature take its course. Perhaps I should have called Wires or taken the bird to animal rescue. I do not know what to do in that situation. I am inclined not to interfere in nature. Well, anyway, enough of the moral quandry rigmarole. I continued on down the track along the creek and just missed out on getting a photo of an osprey with some prey. There were too many trees in the way. I was cursing profusely, let me confess that. The Osprey settled in a tree over the other side of Dora Creek where it joins Sandy Creek. He started feeding on what looked like a fish, probably a mullet, as there are heaps in the creek at the moment. Sandy Creek goes around in a semi-circle and I managed to spot a Fan-tailed Cuckoo, some Super Fairy-wrens, Red-browed Finches and a Red-bellied Black Snake. 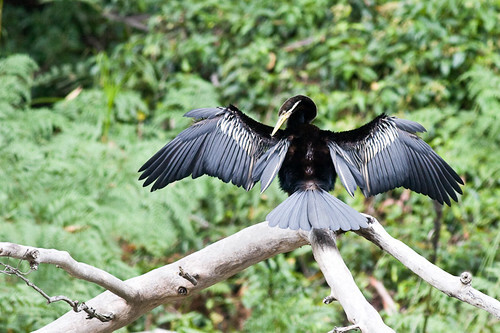 On the way back I spotted a Darter drying itself out. 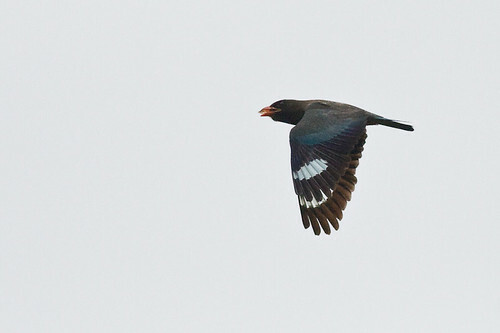 Back near the starting point, I spotted a Common Myna flying across the paddock, so I tried to get some photos of it. I quite like this photo. But I am biased, I guess. So I stuffed around doing other stuff, thinking that the rain would stop, and kept waiting and waiting until past midday until it looked like it might clear up. So out I went to the Hunter Wetlands Centre because its always pretty good there in inclement weather. But it was closed. It was a public holiday today. I had no idea. Things like public holidays have no meaning to me. So, off I headed to Stockton Sandspit, but the rain came down on the way, so I stopped in at SuperCheap Auto to buy some oil. After that, I had a coffee and did the shopping waiting for the rain to stop. Finally the rain did stop after shopping, so I drove to Ash Island, to see if I could find the Little Crake on the corner. I had a good look for the crake but there was none to be seen. There is still no water in the corner pond, despite all the rain. 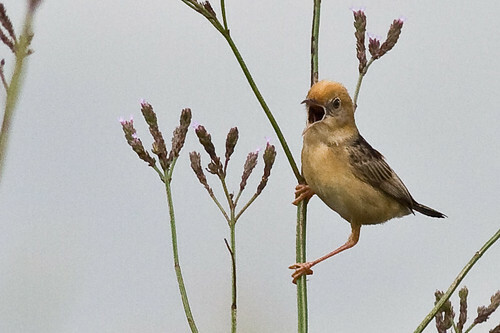 I spotted some Golden-headed Cisticola, so I chased them, hoping to get some photos of something at least. It turned out I got some decent photos of them. This one lauched himself off a bush, and luckily I caught him mid-flight. This one looks like a fledgling with the white gape. There were some Superb Fairy-wrens flying around the bushes as well. 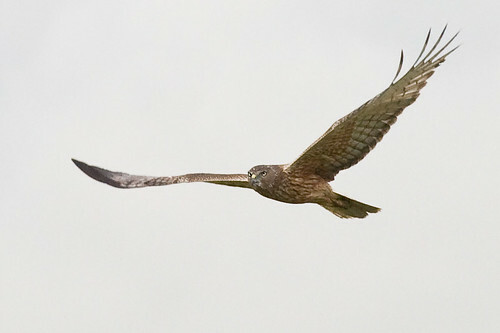 All of a sudden, a Swamp Harrier flew over real low looking for a feed. 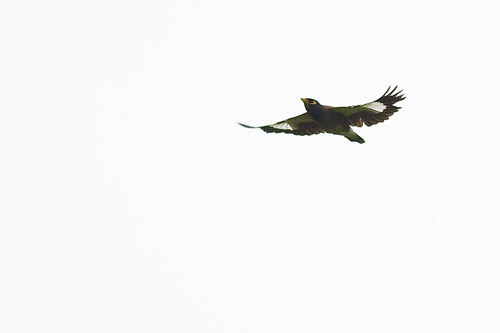 He flew over a few times and then headed south-east towards the river. 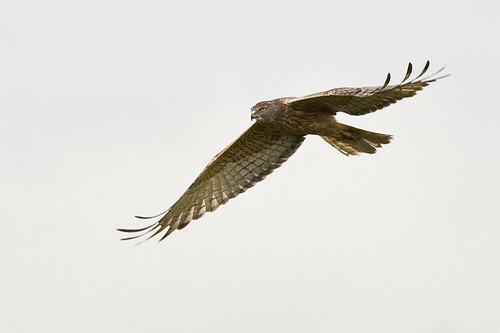 A Nankeen Kestrel was hovering overhead when I went for a walk along the track towards the river. There were also a few White-faced Heron and some crabs scrabbling around in the mud. 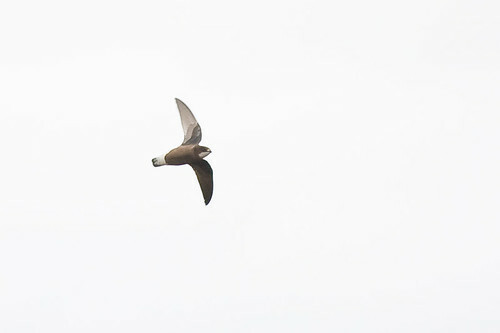 I also managed to get a shot of a Fairy Martin showing the white bum, squarish tail and bronzy-coloured head. After that, I went down the road looking for some more birds, but found nothing at all. It was quite bizarre. But at least I got outside today after what seemed like ages being stuck indoors in the rain. Bird migration begins in Winter around mid February when waves of storks and raptors can be seen. The Summer migration begins in August when water birds arrive at Zaranik in North Sinai and White Storks arrive in the south parts of the Gulf of Suez. Try hotel grounds or the Gezira Sports Grounds. Stay Downtown around Sharia Talaat Harb, eg Lialy Hostel or King Tut Hostel. On the northern coast of Sinai, near Al-Arish. Zaranik Protected Area is the east end of Lake Bardawil. At Al-Arish stay at Hotel Sinai Sun. Southern tip of Sinai, just south of Sharm-el-Sheikh. Also Isle of Tiran. Try the Sewerage works. Also the sewerage ponds near the airport, the hotel grounds and golf course. Maybe stay at Naama Bay, close to the sewerage. ha ha. In Sharm, stay at Youth Hostel, at Na’ama Bay stay at Pigeon’s House. Go here for the Bar-tailed Lark, European Bee-eater and Tristram’s Starling. Also try nearby Arbaein Wadi and Wadi Itlah in St Katherine village. Stay at El-Malga Bedouin Camp. Lots of waders on the mudflats. To the south is Ain Sukhna, along the Galala Plateau. Try the wetlands north of town. Ain Sukhana is a raptor migration point. Hotels may be expensive here, as it is a resort town. Stay at Hilton Ain Sukhna Resort. At Suez stay at Arafat Hotel. Has temples also. 🙂 Try Crocodile Island. Stay at Happy Land Hotel or Nubian Oasis Hotel. Take a felucca ride to Kom, Ombo or Edfu. Try the Aswan Botanical Garden. Stay at Keylany Hotel or Nubian Oasis Hotel. On the shores of Lake Nasser. Try the marshes near the fish factory, the lakeside near Airport Bay. 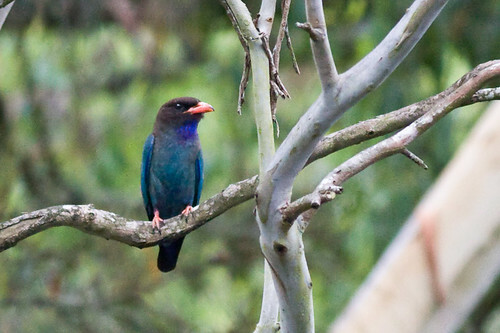 South-east corner of Egypt, has sub-saharan African birds. Wetlands and fish ponds east of Abbassa village. Fish ponds south of Abu Hammad and Tell el Kebab. Stay at Zagazig. Located in the Nile delta, may need permits to get here. It is on the northern coast, east of Alexandria. In Alexandria stay at Union Hotel or New Capri Hotel. Located along the desert road between Cairo and Alexandria.Located in the Western Desert about 90kms north-west of Cairo. Also Al Buhayrah. The Ashtum El Gamil Protected Area is 7km west of Port Said on the road to Damietta. Try Tanees Island. At Port Said, stay at Youth Hostel or Hotel de la Poste. The offshore islands. Gifton Island. Around the hotel grounds, Sewerage ponds. El Gouna beach resort. Can catch a ferry to Sharm El Sheikh, takes 1.5 hours. Stay at Snafer Hotel. In Kharga Oasis stay at El-Radwan Hotel. Dakhla Oasis – El-Kasr Hotel. Dahab – Bish Bishi Village, Seven Heaven. Nuweiba – Soft Beach Camp or Sababa Camp. Get ferry to/from here to Aqaba, in Jordan. Common Birds of Egypt – by Bertel Bruun and Sherif Baha el Din. Just walk along the normal tourist routes. Stay at Mussa Spring Hotel or Al-Anbat Hotel. Explore the orchards around the village. The road to Shawbak. Rummana campsite trail. There is a Visitors Centre at the Dana Royal Society for the Conservation of Nature. Stay at Hotel Dana, Dana Guesthouse or Rummana camp site. Try the surrounding wadis – try birding along the wadi below the bridge before the castle. As well as Qasr Al Amra. Look for raptor migrations. Azraq Oasis was once a great wetland. Stop at the visitors center, then go birding along Siq Trail. Stay at the reserve camp, but book beforehand at the Wild Jordan Centre in Amman. The area 3km from village along road towards Wadi Rum. Try also birding at Bait Ali camp. Stay at camp site, resthouse or Sunset Camp. Go to the Aqaba Birds Observatory, located along the bird migration flyway. Also try wetlands and ponds around the town and seashores. To go to the Aqaba Sewerage Works apply beforehand to get a permit as it is close to the border. Stay at Dune Village(12k from town, can dive), Bedouin Garden Village, Jordan Flower Hotel. Birding at the Azraq Wetland Reserve. Stay at Azraq resthouse or Zoubi Hotel. Try looking for birds towards the Basalt Desert, north of Azraq. Shaumari Wildlife Reserve is 10km south of Azraq. Car hire could be possible for ~JD35 per day. In Amman stay at Cliff Hotel or Farah Hotel. “The birds of the Hashemite Kingdom of Jordan” by Ian J Andrews. Important Birding Areas: Abu Zad; Baath Lake; Buhayrat Homs; Buhayrat al-Asad; Buhayrat al-Khatuiyah; Buhayrat al-aha; Euphrates Valley; Jabal Abdul Aziz; Jabal al-Bilas; Jabal al-Bishri; Jabal al-Shuh; Jabal Sis; Jabal Slenfeh; Ras al-Ayn; Sabkhat al-Jabbul; Tadmur and Sabkhat Muh; Tual al-Abba; Umm al-Tuyyur; Wadi al-Zib; Wadi al-Qam-Burqush; Wadi al-Radd; Yarmouk valley. 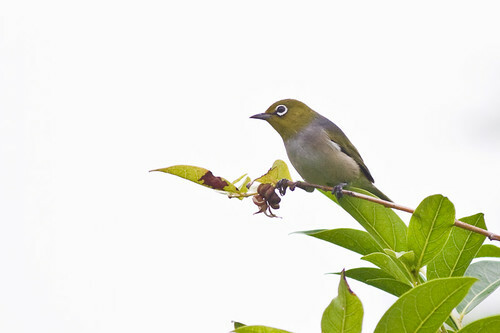 Try birding east of Khunayfis. Talila Reserve. Wadi Abied. Al Sokhna reservoir. Halabiayh. Abu Golla Lake, 50km from Palmyra. Stay at Citadel Hotel or New Afqa Hotel. Ba’ath Lake, access via railway aqueduct. Wadi Al Thakar. Deir ez-Zor, the pedestrian footbridge at Deir, walk upstream along the river from city. University Agricultural Research Station. Mheimideh – Sfeira Tahtani – 15km north-west from Deir ez-Zor towards Ar-Raqqa. Jabbul lake(Sabkhat al-Jabbul)is a salt lake ~40km south east form Aleppo. Krak des Chevaliers. Maloula. Stay at Tourist Hotel, Hotel al-Gawaher. Stay at Sharia Bahsa area. eg. Al-Rabie Hotel, Ghazal House, Al-Haramain Hotel. Bahrat Homs (Lake of Homs / Lake Qattine) is a reservoir South-west of Homs. Try birding around the village of Moudan. Stay at An-Nasr al-Jedid Hotel. Qastal Ma’af, Kassab, Fouroq Forest. At Kassab, stay at Amir(Princess) Hotel. Lattakia – Hotel Lattakia, Safwan Hotel. To get to Syria from Iran, travel from Tabriz to Orumyeh – Van – Qamishli. The coastal lowlands around Minab and Bandar Abbas. Tarom and Tashkouiye Plain, in the north of the Hormozgan Province near Hajiabad. At Bandar Abbas, stay at Mema Pazir Bouali or Mosaferkhuneye-ye-Bazar. On Faror/Forur Island, 24km offshore in the southern Persian Gulf, near Bandar Lengeh. At Bandar Lengeh, stay at Hotel Amir. 30km northwest of Bandar Abbas, up a high mountain. Near Bandar Abbas. Between Qeshm island and Khamir harbour. Huge numbers of migratory birds. On Qeshm stay at Hotel Sahel. A small island 2km east of Lavan Island and 9km off the coast. Large colony of breeding terns. The south east of Hormozgan province, east of Jask township, fed by the Jengin River. In Gorgan, stay at Pars Hotel. 31km from Noshahr, has forests and walking trails. Stay at Shalizar Hotel in Noshahr. Lar Dam is in an area called Polour at Kilometer 65 of the Haraz Road between Tehran and Amol. It is located in Central Alborz. Polour is at the base to Mount Damavand. This park is in northern Iran 120kms south of Tehran and 100kms east of Qom. It sits on the western end of the Dasht-e Kavir desert. At Qom stay at Etminan Hotel. aka Sistan Lake is in southeast Iran near the Afghan border. It forms the extended wetlands of Seistan. Tandooreh is located in the north east of Iran, near the city of Dargaz and the Turkmenistan border. In Tehran, stay at the Mashad Hotel or Mehr Guesthouse near Amir Kabir Street. Esfahan – Amir Kabir Hostel. The cheapest lodging houses are called “mosaferkhunehs”. It was lucky I remembered the survey today. I just remembered last night late. This morning I got up nice and early and headed off to Ash Island to have a look at the pond on the corner to see if there were any crakes or rails hanging around. The pond had no water at all in it. There was a crake but I was not paying attention and by the time that I saw it, it had shot off into the reeds. I walked over the hard-baked mud that was the pond to have a closer look at the reeds and to see what was around the corner. 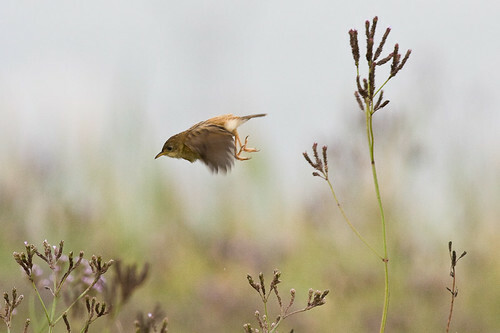 Not much, as it turned out except a couple of Australian Reed-warblers. So, I gave that a miss and headed off to the rendezvous at Tomago House. Whilst waiting there were a pair of Dollarbirds that were flying in and out of a nest in a hollow. There were a few magpies flapping around and a single Channel-billed Cuckoo flew past screeching its hideous lament. Eventually we all set off to the Tomago Wetlands and stopped at the water sluices or gates. There was hardly anything around. Not a skerrick. We usually see some Mistletoebirds, Brown Honeyeaters, Yellow-faced Honeyeaters and thornbills but they were all conspicuous by their absence. We headed off down to the rice paddy to see what was in that. A few of us walked through the middle of the paddock to flush any snipe or bitterns. But there was nothing. It was very dry, but. So that may have had something to do with the lack of birds. We did however manage to see some Golden-headed Cisticolas. This one looks like he slipped and almost fell flat on his face. Whoops! After that lame escapade we went around to the far western paddock and had a look at that. 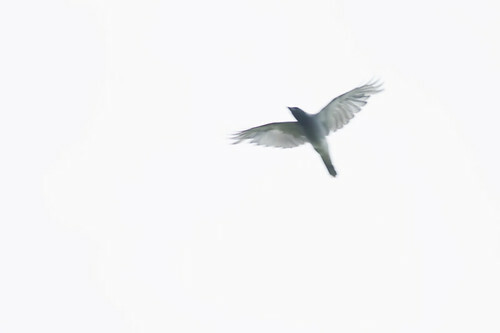 There were a few Swamp Harriers and a Black-shouldered Kite hovering overhead, as well as about a hundred or so White-throated Needletails who were wheeling above us hunting for some brunch. There was not much else. While the beaters walked through the scrub, I sat down for a rest, and nearly fell asleep. That is how exciting it was today! Migratory water birds move through the valleys of Pakistan from September to April. Try in the city itself, which has lots of trees. In fact Islamabad has a bird list of ~400. “Hiking around Islamabad” details all the walks around the city. In Islamabad, stay at the Star Hotel, Hotel Sitara. In Rawalpindi stay at Al-Azam Hotel or Al-Falah Hotel. In Peshawar – Rose Hotel, Park Inn, Sinbad Hotel, Shan Hotel. North of Islamabad city, with good walking trails, receives many visiting birds from higher altitudes. To the east of Islamabad, has a wide range of migratory and resident water birds. A hill resort 3 hours north of Islamabad. You can reach it by bus from Abottabad or Rawalpindi. Hotels can be expensive. Try around Murree or Ayubia NP. In Murree try the walks to the Jhikagali Road and Kashmir Point. Stay at Chamber or the Chinnar Hotel. This is in the Shigar Valley near Skardu in Baltistan. Stay at the NAPWD resthouse. You can get there via a rough 32km track from Skardu on a bus. In Skardu stay at the Baltistan Tourist Cottage. Along the dirt road 9 kms from Skardu up the mountain nearly 4000 meters. Stay at Lakeview Motel Sadpara. This area is covered in snow for most of the year. 50km southwest from Skardu. Leading from the Sheosar Pass. At Gudai, 15km up Chilim Gah, is an NAPWD resthouse, bookable in Gilgit. Tarashing has a couple of cheap hotels. To get here from Gilgit, take the bus to Jaglot and the minibus to Astor. In Gilgit, stay at the Madina Hotel or MOuntain Refuge. The pass is closed in winter. On the way stop in at the Hunza Valley. At Baltit stay at the Old Hunza Inn or the Mulberry Inn. On the road from Gilgit to Chitral. In chitral stay at Hotel Savana or Al-Farooq Hotel. Chitral Gol NP is 30kms NW from Chitral. Book resthouses for Merin Kasavir and Gokhshal in Chitral. Try the cemetery at Krakal and the area between Batrik and Brun. Stay at Jinnah Kalash guest house or Kalash House. Muzafarrabad is 4-5 hours from Islamabad. You may be able to book resthouses here. Neelam Valley – Pateka, Machiara, Salkalla, Gurais. Located 240kms from Muzaffarabad. There are buses to Kel. Jhelum Valley. 59kms from Muzaffarabad. In Jhelum stay at the Paradise Hotel or Faran Inn. In Lahore stay at Regale Inn. In Bahawalpur stay at the New Bahawalpur Hotel. Try locations like the Murree Hill Range, the lakes Uchchali, Khabbaki, kallar kahar, Namal and Lal Sohanra. Cholistan and Thal Deserts – Lal Suharvara National Park, 40km from Bahawalpur. Salt Range, Potohar Plateau, Dera Ghazi Khan, Nammal Lake, Pirawala Forest Plantation, Lal Soharna National Park, Taunsa Barrage. To go into the desert you need to get a permit from DCO. There are camel tours beyond Derawar Fort. 35km east of Bahawalpur via bus to Lal Suhanra village. The park is 3km further. Stay at the TDCP Motel or the government resthouses. This is where 5 rivers come together with extensive reed beds. 12kms from Uch Sharif, catch a bus from Bahawalpur. Try places like Juniper Forest, Zhoab, and the Makran Coast. The Hazarganji Chiltan National Park is 20km southwest from Quetta. There is a government resthouse 5kms inside the park. Get permission before you go. 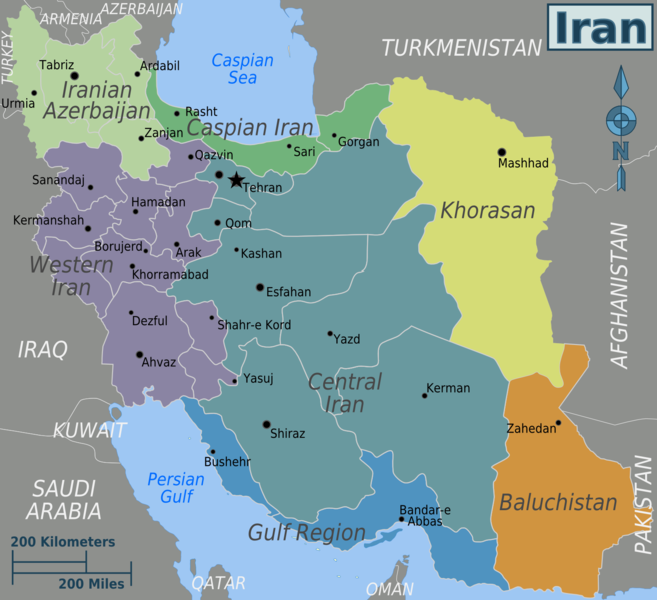 You can get to Iran via Zahedan, Taftan, and Mirjaveh in Iran. In Quetta stay at the Azad Muslim Hotel or Hotel Marina. At Ziarat stay at Shalimar or CTC Tourist rest house. There are many hiking tracks around the town. Hanna Lake is 10km east of Quetta via bus. Go 11km further to Urak Tangi. Haleji, Hadeiro and Kinjhar Lakes – 70kms from Karachi. Home to water birds. Ask at the STDC offices prior to going there for accommodation. Manchnar Lake is a bird reserve near Sehwan Sharif. To stay at the rest house, reserve in Karachi. Mai-Kolachi by-pass in Karachi has flamingos. In Karachi stay at Chandni Hotel or Al-Bilal Hotel. To fly around inside Pakistan, try Air Blue, PIA or Shaheen Air. Iran Air has a direct flight from Karachi to Tehran. “Birds of Islamabad” by Mikko Pyhala 2001. (Unfortunately out of print). Where to Watch Birds in Asia by Nigel Wheatley.